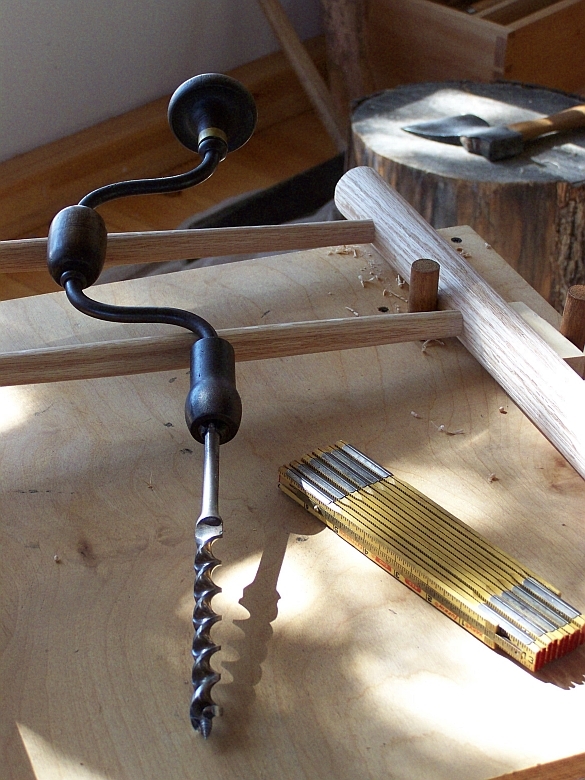 Learn more about green woodworking and traditional hand tools while making a post-and-rung stool. This workshop is designed to introduce students to a variety of tools and techniques used in green woodworking. During this course, students will gain practical experience working with traditional hand tools while making a post-and-rung stool with a woven seat. This workshop will include an overview of the properties of wood and wood movement, instruction in shaping, and drying green wood, as well as procedures for working safely with hand-tools. Students will also learn traditional mortise-and-tenon joinery techniques used in post-and-rung construction.